Below is the general information about the Algarve and booking villas with Travillas. If you have any further questions not covered below or in our Terms and Conditions, please do not hesitate to ask. If a cot or high chair is required you must request it at the time of booking. The first highchair and cot are offered for free. After that, for each cot there is a charge of €25 per week and for each high chair the charge is €20 per week. This will be added to your invoice. Cot linen is not provided. It is sometimes possible to arrange for extra beds to be placed in accommodation suitably equipped for the purpose. Our reservations staff can tell you in which accommodation this can be arranged and also the cost (usually €60 per week) which will be added to your invoice. Whether or not a villa has satellite television is noted in the details section for each villa. The channels available will vary and whilst most satellite packages have UK channels (BBC, ITV, Channel 4 and related channels), we are not able to guarantee in advance whether your villa will or not. 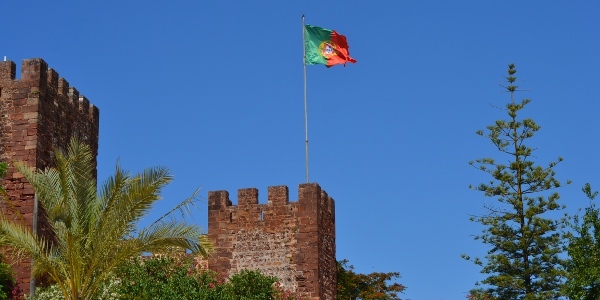 Due to the weakness of signal in the Algarve, there may also be some breakup of the service at certain parts of the day and during cloudy weather. If you have a specific viewing requirement, please contact us to see if it can be arranged. For sports games, there are now many bars showing major sports events. We have representatives both in the Algarve. They are on call for information or any help required whilst on holiday. Further information will be given with your travel documentation. As flights to Faro are now available every day of the week, most villas no longer have a fixed changeover day. Obviously we would like to minimise empty days between bookings but we try to offer as much flexibility as we can. Weekday changeovers are often possible, so please enquire. Where villas do have restricted changeover days, this will be noted in the individual villas details section. In the Agarve you may enter the villa after 2pm, but it is possible that the maid may have to clean more than one property and will still be working on your arrival. In order that the accommodation is prepared for incoming clients you must vacate the accommodation by 10.00 am on the day of your departure. For villas that have different arrival and departure times to those above, this will be noted in the individual villas details section. Where there are no clients leaving on your day of arrival you may be able to enter the villa earlier if arranged with Travillas. The same for the departure day, if there are no incoming clients you may be able to remain in the villa longer if your flight is later in the day. Remember to ensure that you have a valid full passport, (please note that any child who is not already on a parent's passport must now have their own passport - this includes infants under two years old) and that you comply with any existing visa or health requirements. We can accept no responsibility for client's non-compliance with the above. If you are refused exit from UK or entry at the overseas airport any costs which arise will be payable by you. Airline regulations state that women 26 weeks or more into pregnancy, at the time of return travel, must have a medical certificate of fitness to travel; after 32 weeks, permission to fly will be refused. These are sent to you approximately 2 weeks before departure and include information on the local area as well as the maps and instructions on how to get to your accommodation and car hire / taxi transfer vouchers. Please check these as soon as you receive them. For peace of mind whilst on holiday, we strongly recommend that you take only a small amount of local currency. Credit cards are widely accepted and there are ATMs available in most towns. Please note that there are still some establishment that do not accept credit cards, please check you before you load up your shopping trolley or order your food. You are required by law to carry identification with you at all times. In the unlikely event that you are stopped you will need to produce your passport since a driving licence or credit card is not considered valid ID in Portugal. We recommend that, if possible, you bring photocopies of your documents and keep them separate from the originals. As in any country, there are opportunist thieves about in the Algarve. Taking the following simple, common sense precautions will minimise the chances of them affecting your holiday. Please ensure that you carefully lock up when going out and use the alarm if your villa has one. Many villas have safes for your use. When you sitting by the pool, ensure that you lock all doors and windows that cannot be clearly seen from where you are. Keep your car locked and, if you must leave things in the vehicle, make sure that they are secured in the boot or locked glovebox. A breakage deposit of £50 pounds per person will held against a credit or debit card when you book. In the event that you do not pay by credit or debit card, you will still need to provide details of one for this purpose. No money will be deducted from the card unless there is a breakage and then it will be discussed with you first. Remember that standards could be different from those normally accepted in the UK. However, all self-catering accommodation is equipped with sufficient crockery, cutlery and have refrigerators and cooking facilities. All linen, except beach towels and cot linen, is provided. Towels provided must not be used as beach towels or for sunbathing. All gas, water and electricity is included. Accommodation within developments is not identical in design, furnishings etc. and the photographs shown on the website give a guide only as to what can typically be expected. Pool sizes are approximate and are for guidance only. Pools are checked and cleaned once or twice a week. A net is usually provided for you to remove leaves etc. on a daily basis. Please note that sun cream oils do have a detrimental effect on pool water. If possible, please shower before using the pool to keep the water clean. A couple of our properties have heated swimming pools. In general the heating is only switched on during the cooler months. The heating is only turned on by request and for an extra fee, usually around £150 per week. When booking your holiday, please advise us of any disabilities or special requirements so that our staff may advise suitability of villas. The supply is 220 volts and sockets are 2 pin, so for all UK appliances you will need a continental adaptor. In some holiday areas the influx of summer visitors does tend to put a strain on the water and electricity supplies from time to time. However, any disruption is usually brief and we would ask for your understanding. Development is very strictly controlled but, because of the need to keep pace with demand, the inevitable outbreak of road and building works can happen from time to time and without warning to Representatives. Please remember that you are in a hot country and that many of our villas are in rural areas. Ants and mosquitoes are very common and can be a nuisance but are easily deterred by powders and sprays, which can be purchased locally. Please make sure that food is kept in the fridge and surfaces are kept clean to deter stray field mice. Local dogs can bark at night and cats can sometimes be a problem.